Beomaster 3000, Beocenter 3500 and similar models. Will also fit a number of tape players and turnatables of the period. May require some modification to fit certain later models. We will post overseas please contact first for postage rate. Bang & Olufsen B&O Penta Bass Speaker. We will post overseas please ask for shipping rate. PLEASE NOTE LAST ONE !!! Bang & Olufsen compatible cassette draw eject and close drive Belt. Suitable for Beocord 5000, 5500, 6500. May fit other machines of a similar style. Price £2.00 plus first class postal rate, currently 64p. Postage rate overseas will be £2.25, additional quantities purchased will be included for the flat rate. 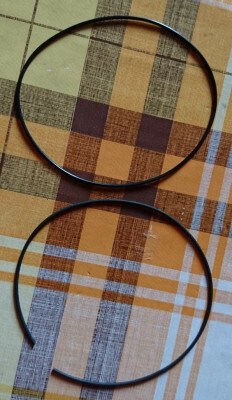 Please note photo to right is new belt next to original failed belt. second photo shows fifty pence for scale, and new one on left next to worn belt. 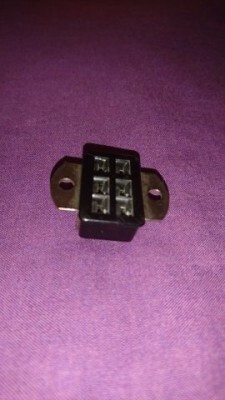 60 + 250 uF Capacitor Bush TV12, TV22, TV24 and many other period TV sets. These Capacitors are NOS are probably ex-MOD. Read well on my ESR meter. Have used a number of these on TV restorations and worked well. Virtrually identical to original fitted. We will post overseas please contact first. 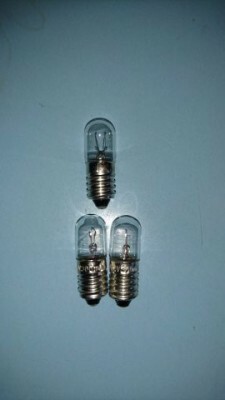 The set consists of three bulbs 2 for the tuning scale back light and the other for the stereo indicator light. The scale light and indicator lights are of differnt values and will be marked accordingly. These are near compatable for the Beomaster 1000 - and will work effectively as been tested in 1000. BIN for the kit of three will be £6.99, this includes free UK postage. For sale compatible unbranded lamp/bulb kit for the Bang & Olufsen models Beomaster 1900, 1900-2, 2300, 2400, 2400-2. This comprises of 16 wire ended lamps, which is 15 plus one spare, this kit contains all lamps/bulbs needed for a complete frontpanel overhaul. Due to recommended to change the complete set to maintain equal brightness throughout all the dispay. Slightly different shape to original - please see photo original on the right. 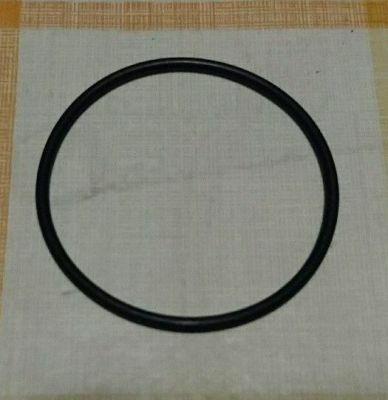 This was removed from a Beomaster 1900. Please note if you are unfamilar with these, they do require soldering in place. 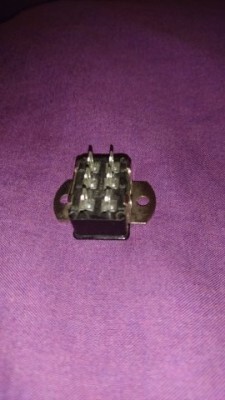 Cost for the 16 bulbs will be £16.49 including free postage within UK. Overseas buyers welcome please contact for shipping rate. 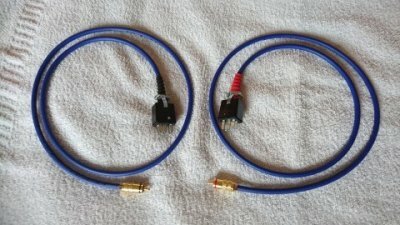 Pair of Quad II Monoblock Jones Plug to phono plug leads 1 meter. Here we have pair of QUAD II Monoblock Jones Plug to phono plug leads, which will allow you to connect your Quad monoblocks to suitable volume controlled output from a pre-amp of other similar device. All parts of the lead are new. New Chinch Jones 6 way plug, one metre of van-Damme instrument cable and gold plated phono plug. Tested and performs as should on our Quads at home. Please note this is for two cables which are coloured coded at each end. New replacement jones chassis socket to suit Quad II mono-block. Here we have pair of QUAD II Monoblock Jones Plug to phono plug leads, which will allow you to connect your Quad monoblocks to suitable volume controlled output from a pre-amp of other similar device. All parts of the lead are new. New Chinch Jones 6 way plug, one metre of van-Damme instrument cable and gold plated phono plug. Tested and performs as should on our Quads. Single QUAD II Monoblock Jones Plug to phono plug leads 1 meter in avialable in the following colours - Red, Purple, Yellow and Black. Here we have a QUAD II Monoblock Jones Plug to phono plug lead, which will allow you to connect your Quad monoblock to suitable volume controlled output from a pre-amp of other similar device. All parts of the lead are new. New Chinch Jones 6 way plug, one metre of van-Damme instrument cable and gold plated phono plug. Tested and performs as should on our Quads. Please note this is for one cable in one of the above colours. 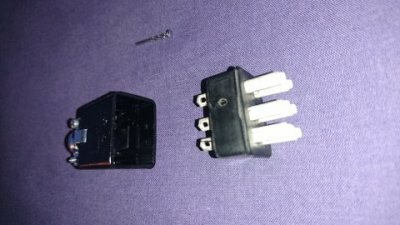 Quad II 22 pre-amp plug in tape adaptor 100 K OHM Adjustable for CD etc. Here we have pre-amp plug in tape adaptor for line signal - Adjustable for CD and TV's etc. This will fit the Quad 22 pre-amp in the tape adaptor socket. This is so you will be able to plug in a CD player, TV or set top box or similar with audio line out in the tape input sockets. Offering 100k OHM load with variable output 0-100%. This will enable you to be able to adjust the level to the same as the Phono or Radio level, in addition also clamps high gain stage to ground to reduce hum. Postage within the UK will be £2.50 as will go as small parcel due to width. Here we have pre-amp plug in tape adaptor for line signal - Adjustable for CD and TV's etc. This will fit the Quad 22 pre-amp in the tape adaptor socket. This is so you will be able to plug in a CD player, TV or set top box or similar with audio line out in the tape input sockets. Offering 10k OHM load with variable output 0-100%. This will enable you to be able to adjust the level to the same as the Phono or Radio level, in addition also clamps high gain stage to ground to reduce hum. For sale one Quad II 22 Pre-amp phono adaptor. Type A these are made by ourselves in U.K to the original Quad circuit drawing, and are fitted with silver plated copper pins. These are an alternative to the original which are harder to come by and becoming more expensive to buy. We have tested these and compared them to our original and there is in our opinion no discernible difference in sound quality. Due to these are handmade, they may slightly differ in appearance to the one pictured. Price £14.99 free postage within UK. For sale Quad II QC 2 mono pre amp - Phono adaptor type R6. New item made in UK. This is made to the original Quad circuit drawing, and are fitted with silver plated copper pins. These are an alternative to the original which are getting harder to obtain and becoming more expensive to buy plus some tend to come apart over time. As has ours. The Quad literature states the R6 adaptor gives 5 mV sensitivity, and offers 10 K ohm load. Due to these are handmade they may slightly differ in appearance to the one pictured. For sale Quad II QC 2 mono pre amp - Phono adaptor type R2. New item made in UK. The Quad literature states the R2 adaptor gives 16 mV sensitivity, and offers 50 K ohm load. We have tested these, though we do not have an original to compare, the result was lower gain rate compared to R6 though still sounded good in our opinion.